The Clark Fork Chapter serves the greater Missoula Area and west-central Montana. Programs (Held 2nd Thursday of the month (with exceptions), Field Trips, and Events. Thursday April 11, 7:30 pm. It’s time again to warm up your memory and get pumped up for summer. Come and see some of your favorite wildflowers and some you don’t know when Clark Fork Chapter photographers show slides of Montana’s High Mountain Wildflowers. Rm L09 Gallagher Business Bldg, UM Campus. Wednesday, May 15, 5:30pm – Grasses of Missoula Valley – Waterworks Trail – Jim Romo, Leader. Grasses are the foundation of many local habitats. This walk will help identify the natives from non-natives and provide information on their growth and life cycles and role in the local plant communities.Meet at the Waterworks trailhead on Greenough Dr. just north of Vine St. Info: Paul Buck – (970)901-2418, paul7703@gmail.com or visit facebook.com/MNPSClarkForkChapter/events for a map and details. 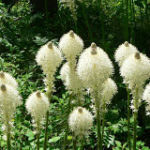 Saturday, 6/1 – Plant Sale – Clark Fork Farmers Market Annual Montana Native Plant Society Plant Sale. 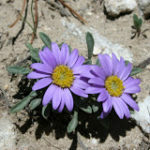 Help with the sale of many Montana native plant species at this one day event. Come early for the best selection for your garden. Contact Clare Beelman (406 728-0189) for details about helping. Wednesday, 6/12 – 5:30pm – University of Montana, Montana Native Botanic Garden – Leader Kelly Chadwick. 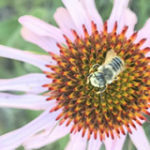 Tour the native gardens and see what is blooming and the great diversity of plants that can be grown in the Missoula area. A great way to identify and learn about our native flora. Refreshments provided. The garden is located west of the University Center(UC), north of Main Hall, surrounding the old botany greenhouse. The closest parking is north or south of the UC, free after 5pm. Info: Paul Buck – (970) 901-2418 paul7703@gmail.com or visit facebook.com/MNPSClarkForkChapter/events for a map and details. Don’t forget to check out the Clark Fork Chapter Facebook page (https://www.facebook.com/MNPSClarkForkChapter/events), the State MT Native Plant Society Facebook Page (https://www.facebook.com/MTNativePlantSociety). Events could be canceled due to weather. Hikes typically proceed at a leisurely pace. Please bring adequate food, water, sunscreen, a hat, and be prepared for Montana’s unpredictable, inclement weather. No pets please! Clark ForkChapter members enjoy a robust schedule of hikes every year. Here a few members relax in the midst of searching for mushrooms. * Camera Geek trips are designed with ample time for photography and exchanging camera tips and techniques. A nationwide initiative by the National Ecological Observatory Network (NEON), The Chicago Botanical Garden, and others, Project Budburst allows citizen scientists (e.g., students, naturalists, gardeners) to enter observations of the timing of flowers and foliage into an online database to help create a national picture of the effects of our warming climate on plants. The project operates year-round so early and late-blooming species around the country can be monitored throughout their lifecycles. UM professors Carol Brewer and Paul Alaback are collaborators on the project; MNPS member Paul is the project’s lead scientist nationally. Project Budburst is looking for Native Plant Society members and others to volunteer in monitoring when plants come out in the spring. This involves selecting one or more plants near your house-in a park or somewhere you walk regularly–then noting the day leaves and flowers first appear and leaves first change color in the fall. Observations on Mt. Sentinel would be particularly valuable. Last year over 4,000 volunteers participated nationwide! Budburst is particularly interested in observations of widely distributed plants such as chokecherry, serviceberry, red osier dogwood, garden lilacs and others. You can register to collect data at http://budburst.org or contact Paul Alaback (palaback@gmail.com); phone: 970 227 4745.